2.High frequency full bridge design . Protection for low battery voltage,over load,output short circuit and over-temperature,restrain surge interference,eliminate noise,protection for thunder striking，provide the reliable power to the household appliances. Supply the reliable long back up time power for the household appliances,office appliances and solar power systems etc. Connected with the grid, the 5 kva inverter must meet the 3 requirements which is the power quality of the power grid, the prevention of the isolated island effect and the safety isolation. 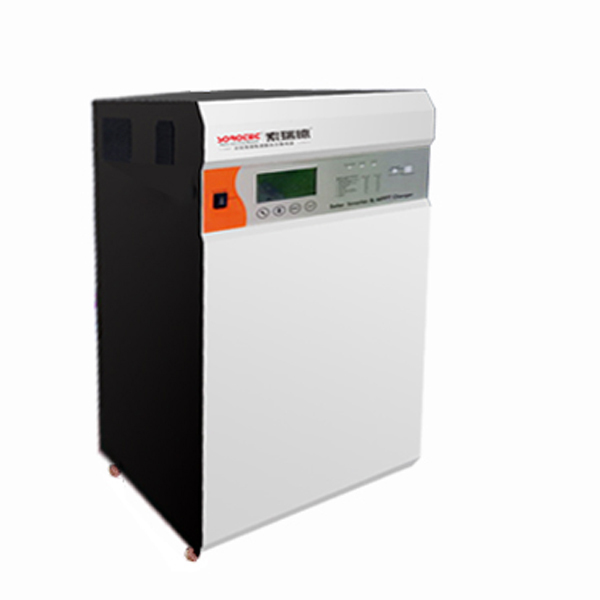 In order to avoid the pollution of the grid connected PV system to the public power grid, the 5 kva inverter should have a small output distortion. One of the main factors that affect the waveform distortion is the switching frequency of the inverter solar system. New models of high-speed DSP processor is used in the numerical control inversion system, can improve grid connected inverter switching frequency performance significantly, it has become one of the technology which is widely used in the actual system; at the same time, selection of main components for power inverter is also crucial. Small capacity low pressure system more use of power field effect tube (MOSFET), has a lower on state voltage drop and high switching frequency; but MOSFET with voltage increasing its conduction resistance increases and in high voltage, so large capacity systems generally use insulated gate bipolar transistor (IGBT); and in the high voltage and large capacity system, generally, the gate turn off thyristor (GTO) as a power component. According to the 200-929 IEEE and UL1741 standards, all grid connected inverter solar system must have the function of anti island effect. Island effect refers to when the grid due to electrical fault, misoperation or natural factors cause the interruption of power supply, grid connected solar power generation system can timely detect the outage state and cut off the grid, the grid connected PV system and the surrounding load form a the self powered island which can not be controlled by the power company. The key to prevent the island effect is to detect the power failure of the power network. In order to ensure the safe and reliable operation of the power grid and the 5 kva inverter, the effective isolation of the inverter with the grid and the grounding technology of the inverter solar system are also very important. Electrical isolation of the generally use transformers. In the three-phase output solar power generation system, the grounding mode can be referenced to the non grounding (I-T) mode, a single protection grounding (T-T) mode and the neutral line of the transformer. The electrical equipment shell through the protection line (PE) and the grounding point of attribute connection (T-N).